There is a moment that you have enjoy a fascinating plot from a large MPEG video file, so you set about sharing the whole video to YouTube. Unfortunately, you are informed that it is not workable owing to the MPEG video length exceeds the maximum limitation, 15 munities. Under such circumstances, what you can do is to process your MPEG videos by cutting off the unwanted segments and restoring a new file with desired plots covered. Now, you may wonder how to realize it, right? It is easy. 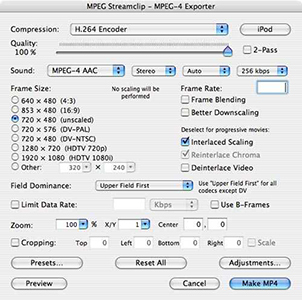 You just need to select a reliable MPEG cutter. Having kept it as an acceptable size, you can enjoy and share it to any social platforms at discretion. It's time! Let's see how powerful the following 5 MPEG video splitters are. As one of the most efficient splitting tools, Joyoshare Media Cutter is good at cutting MPEG videos into any small sections. Under the help of it, you can make what you think come true, sorting out your thousands of MPEG videos orderly. Coming with a powerful compatibility, Joyoshare MPEG Splitter is able to cut off needless portions in high accuracy. It also enables you to customize the quality, format, size, codec in your way. Alternatively, you can merge any video or audio segments as well. Compared with other prevalent MPEG cutters in current market, it provides more comprehensive solution to users. You can generate your MPEG cuttings in any format, like M4V, MP4, AVI, MPG, 3GP, 3G2, MKV, WMV, MPEG and so forth. Moreover, it is also feasible to enjoy them on any popular devices, including iPhone, smart TVs, game console, Android, etc. You may have a misgiving in your mind that whether it will have influence on your output quality as you edit the original MPEG video and change its format. Just let it go! This outstanding MPEG splitter will keep lossless quality and fulfill the assignment in fast way. Known as an advanced video editing tool, Filmora Video Editor can deliver you a thoughtful platform with all-round options. It can allow you to split MPEG video files into separate clips and get rid of the unwanted parts. Amazingly, the special-designed speed controller empowers you to play the video faster or slower when you need. To make your destination video more attractive, Filmora Video Editor has ability to adjust brightness, control volume and rotate video. Once you have processed your MPEG video, you can save them as popular formats, like MP4, MOV, M4V, FLV, etc. Furthermore, if you would like to share it to other social platform, such as YouTube, Vimeo, or Facebook, you can do that as well. 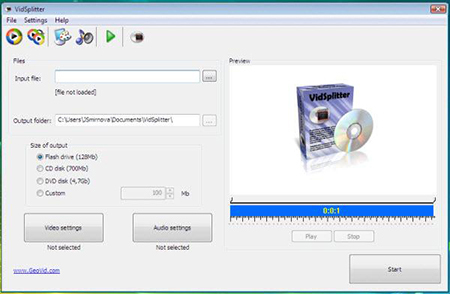 With a user-friendly operating interface, VidSplitter is extremely simple to use. By taking the aid of it, you can cut a large MPEG video file or other format files, like AVI, ASF and WMV, to a several fragments. To get an ideal video length, you can leave out unpleasing parts. There is no video length limitation so that you don't have to worry about the inputted MPEG file size. Additionally, VidSplitter includes attentive support to locate both start and end points on the timeline. What you should be clear is that this handy trimming program cannot permit batch process, meaning you can add one MPEG video each time. Compact as it is, you can experience its high efficiency. Anyway, it is really a fairly excellent choice for newbie. 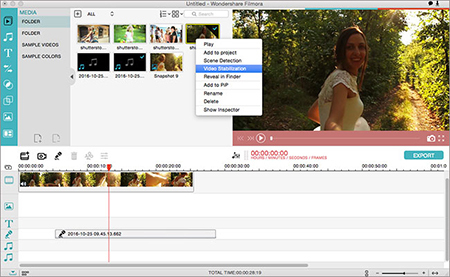 MPEG Streamclip can act as a player, converter, editor or ever a cutter for your video files. Even though its operating interface seems a bit cluttered at your first sight and you may don't know how to make full use of it, it offers a large wide of thoughtful options to give you right to customize videos in person. Keep calm to see what it can do for you. You will find it is not so difficult to operate it. Aside from MPEG video files, it is also capable of inputting VOB, MOV, MOD, PS, M2P, VRO, DAT. It also requires you to choose a preset for your iPod/iPhone/Apple TV. Meanwhile, you can adjust the quality, zoom in or zoom out the display window, set frame size, data rate and so on. If you are a professional, you will like it! Supposing you are looking for a basic MPEG cutter to manage your MPEG video files, you can go straight to utilize Kaksoft MPEG Splitter. It is come out as a dedicated MPEG processor. This is also the reason why you can only take advantage of it to edit your MPEG files. In other words, there is no access to other format videos. Kaksoft MPEG Splitter offers three well-designed modes for you to split your MPEG videos. The "By frame" mode will ask you to set the start time and end time to cut the file. The "By size" mode will trim the whole video into equal pieces by setting a specific size for each piece while "By time" is accordingly to set the duration for each segment. To keep your MPEG video files manageable, you have to make a wise decision to pick up a proper MPEG video splitter. To be frank, there is no standard answer to the question which one is the best MPEG cutter. Only you are clear about which one is suitable to fit for your own needs. With regard to fresh starters, VidSplitter and Kaksoft MPEG Splitter are decent programs. Nevertheless, for users who have an affection for making MPEG videos cool and can afford high cost, Filmora Video Editor can be a wonderful option. 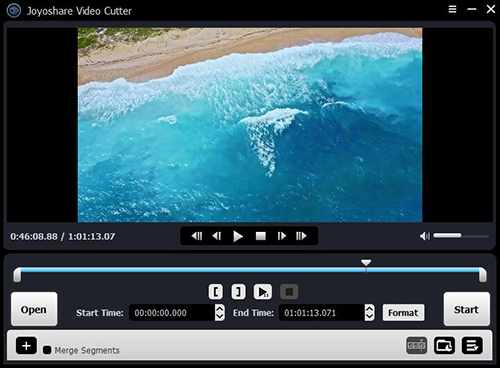 However, if you'd like to cut your MPEG videos in high quality and enjoy comprehensive workaround, you should try Joyoshare Media Cutter.